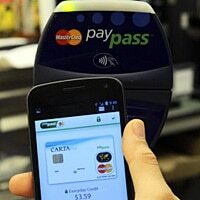 The payments network has announced PayPass Wallet Services, a digital wallet platform that will support NFC. Eighteen financial institutions, American Airlines and bookseller Barnes & Noble are among those who have signed up for the service. MasterCard has unveiled PayPass Wallet Services, an end-to-end digital payments solution “designed to transform the digital transacting experience for merchants and consumers alike”. PayPass Acceptance Network — This comprises both PayPass Online and PayPass Contactless and, says MasterCard, is designed to provide a globally consistent way to help merchants accept electronic payments across multiple channels — whether the purchase is made in a store at the point of sale via NFC or online using a computer, tablet or smartphone. PayPass Online also provides consumers with a simple checkout process by eliminating the need to enter detailed shipping and card information with every purchase. PayPass Wallet — A suite of digital wallet solutions that will allow banks, merchants and other MasterCard partners to white label their own wallets. Consumers will be able to add American Express, Discover, Visa and other branded credit, debit and prepaid cards to the wallet, as well as MasterCard branded services. The service “makes online shopping safe and easy by allowing consumers to store payment and shipping information in one, convenient and secure place,” says MasterCard. PayPass API — A service enabling partners to connect their own digital wallets into the PayPass Acceptance Network so they can leverage MasterCard’s existing checkout, fraud detection and authentication services so that customers can make purchases wherever PayPass is accepted – online and in store. Each of the three elements, says MasterCard, “offers a consistent shopping experience regardless of how and where consumers shop and makes it easy for developers to integrate into existing checkout systems”. The service is set to be available globally and is launching with American Airlines and Barnes & Noble as the first merchants to incorporate the PayPass Online checkout button on their websites. American Airlines will also integrate PayPass Wallet into its mobile application. Jagex, JB Hi-Fi, MLB Advanced Media, Newegg, Runningshoes.com, TigerDirect.com and Wine Enthusiast Companies have also signed up. “Others are expected to join in the coming months,” says MasterCard. Eighteen financial institutions from around the world have agreed to support the rollout of the PayPass Wallet Service. They include Banesto, Bank of Montreal, Commonwealth Bank, Citibank, Euro6000, Fifth Third Bank, Grupo Banco Popular, Grupo BBVA, ICBA, Intesa Sanpaolo, Metro Bank, National Bank of Canada, PSCU, RBS Citizens Financial Group, SEB Kort AB Sweden, Sovereign Bank, Swedbank Sweden and Westpac. Technology partners include Apriva, Bango, Beanstream, Cardinal Commerce, C-SAM, Digital River, Intel, Kony Solutions, Local Offer Network, mFoundry, Moneris Solutions, Ogone Payment Services, Sage Pay, SIA and Vantiv. “Consumers are looking to pay for goods when, how and where they choose,” says Ed McLaughlin, chief emerging payments officer for MasterCard.